Mary’s Pizza Shack is a family-friendly Italian restaurant known for their delicious food and fun atmosphere. They have 20 pizza shacks in Sonoma, Napa, Marin, Solano, Contra Costa, Shasta and Placer counties (California). My family eats there frequently, so they were pretty thrilled, especially my seven-year old son, when they found out I would be designing a billboard for Mary’s. I came up with several concepts, all of them somewhat humorous, and they liked the Giant Meatball design the best. 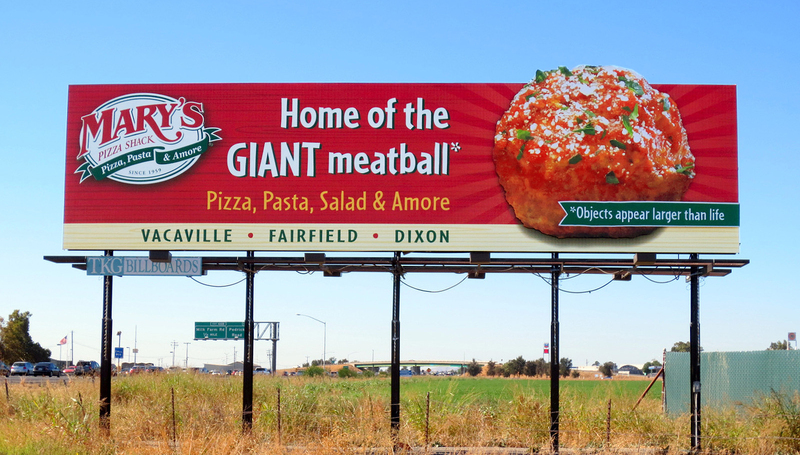 The meatball and green banner are actually a separate add-on piece that give the sign a nice dimensional quality. 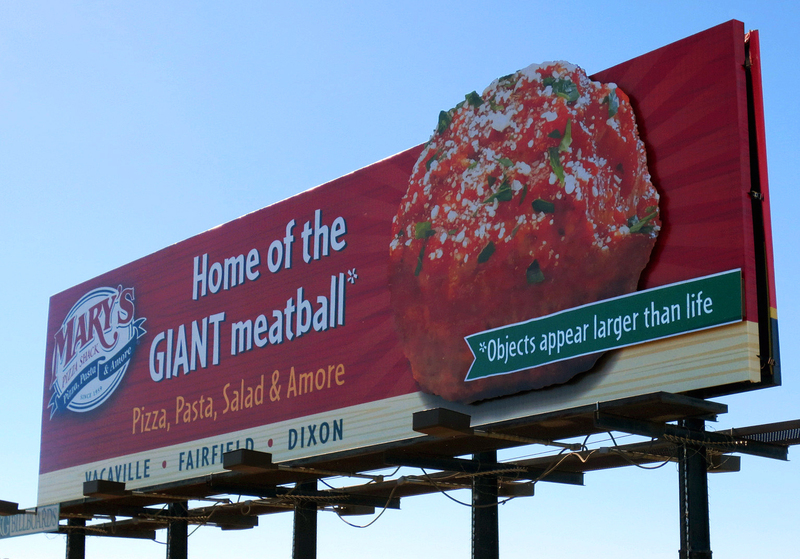 That’s one giant meatball!